AV tech, which is the computer software and hardware that will allow vehicles to actually drive themselves, requires the acquisition and accurate processing of massive amounts of data. Tesla is using information collected from every car produced since October 2016 — the date when cars equipped with the first generation Autopilot suite of sensors went into production. 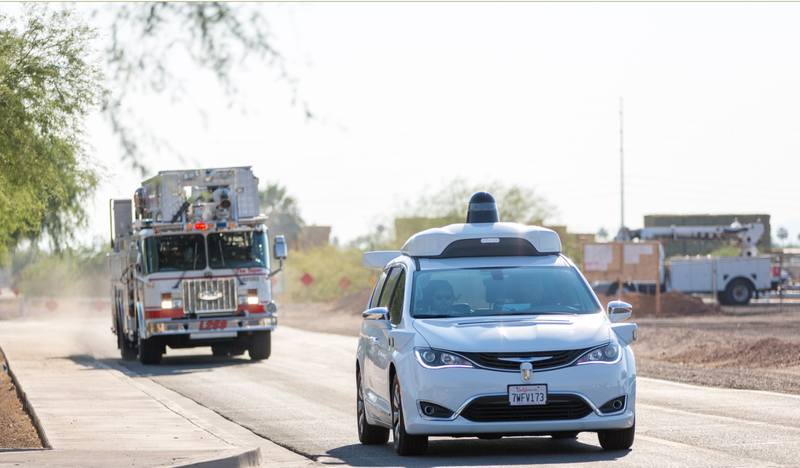 Waymo is relying more on computer simulations. It has racked up nearly 6 billion simulated miles so far, according to The Verge. The Autopilot system collects data continuously in what the company calls “shadow mode.” Whether Autopilot is engaged or not, the cars’ computers are constantly comparing what they would do if given the chance and what drivers actually do. It has collected about 5 billion miles of driving data by now, data that is shared with software engineers back at Tesla HQ. As Tesla sells more vehicles — Model 3s, Model Ys, and Tesla Semis — the rate of data acquisition will increase accordingly. Autonomous driving vehicles have the potential of saving hundreds of thousands of lives each year — a worthy goal if there ever was one. But what is really driving the quest for self driving cars? Money is. Chip maker Intel says AVs will generate $800 billion a year in revenue by 2030. That number will grow to a staggering $7 trillion by 2050. The Verge reports that Morgan Stanley analyst Adam Jonas, who is a frequent participant in Tesla earnings calls, wrote last year that data might be more valuable to Tesla than the Model 3. “There’s only one market big enough to propel the stock’s value to the levels of Elon Musk’s aspirations: that of miles, data and content,” he claimed. To Lidar Or Not To Lidar? The main difference between Tesla’s AV system and Waymo’s is Lidar. Similar to radar, it uses light instead of radio signals to create a digital map of the driving environment around a vehicle. Elon Musk pooh-poohs Lidar, which he calls a “crutch,” preferring to use radar imaging buttressed by input from cameras and ultrasonic sensors. Lidar has one big drawback — it is expensive in comparison to radar equipment. But the technology is relatively new. Just as the cost of solar panels has plummeted in recent years, the cost of Lidar is bound to come down as more companies incorporate the technology into their cars. Autopilot also has an advantage over Lidar. The Waymo system is predicated on defined geographic areas. It sends some 25,000 simulated cars through those areas every day, but unlike Tesla, it accumulates no data outside those boundaries. However, Waymo intends to expand its fleet of self-driving cars from a few hundred today to tens of thousands in the near future, which will increase data collection outside of geofenced areas. That’s a huge “if,” says Raj Rajkumar, the co-director of the connected and autonomous driving research lab at Carnegie Mellon University which is sponsored by General Motors. He thinks Tesla may find itself at a big disadvantage without Lidar. “We don’t think the hardware will be sufficient to do that, and I don’t think Tesla is particularly anywhere close to getting to [fully] driverless operation,” he says. It should be pointed out that Elon Musk promised a Tesla would drive from LA to NYC without a human hand on the wheel before the end of 2017, but that project has been delayed and Musk hasn’t said much about it lately. Another player in the autonomous vehicle field is Nvidia, which sells autonomous vehicle systems to many companies, including Tesla. Last month, it began selling its Drive Constellation system — a ready-made simulator based on the work Nvidia has already done in-house. Customers can use the Nvidia system to test and validate their own self-driving technology. It’s the corner cases — incidents that don’t happen every day, like someone running a red light or black ice on the road — that are the most challenging. What happens, for instance, when sun glare makes vision ahead difficult? That only happens for a few minutes a day, depending on weather and season, but by using a simulator, “We can drive every road 24 hours a day at sunset, and stage all kinds of [other] potential hazards,” Shapiro says. The advantage Nvidia has is that it is lowering the barrier to autonomous technology for smaller companies which don’t have the money or time to design their own systems. Just as electric car manufacturers can buy motors from suppliers, so can automakers buy complete self-driving systems from Nvidia. That way, Nvidia’s system could become the de facto standard for the industry. Older readers may remember the epic battle between Sony’s Betamax video recording system and the VHS standard offered by other manufacturers. Everyone agreed Betamax was clearly superior technically but it cost more than VHS. That price difference was the difference and soon, Betamax had faded into obscurity. There could be a lesson there for Tesla and Waymo. Their AV tech could be superior to Nvidia’s, but the Nvidia model could become the industry standard and rule the marketplace. Are Simulated Miles Worth Anything? She is skeptical of any “simulated miles driven” claims unless they offer more detail about what’s being simulated. “Real-world miles still really, really matter. That’s where, literally, the rubber meets the road and there’s no substitute for it,” she says. Knowing that Tesla and Waymo have racked up the most miles in both simulation and in the real world helps set the table for the discussion about who has the “most” data. But that knowledge isn’t enough on its own to really determine who has the ultimate advantage, Kalra says. Ultimately, autonomous driving technology will have to prove it is safer than human drivers to gain full acceptance, but how do you define “safe?” Is it the rate of crashes per a given number of miles, injuries per miles, or even deaths per miles?